The first class I attended was taught by our Meadville President, Rev. Dr. Lee Barker, and it was called, “Ministry in a Post-Denominational Age’. It addressed many questions with which Unitarian Universalism, among other faiths and denominations, is struggling. How will we grow? Does church still matter? How can we attract youth? How will we fund our programs? How relevant is our message in a world where other faiths are becoming more liberal? What can we try differently to infuse new energy and commitment? As is the UU way, you won’t be surprised, we came up with far more questions than answers. It was interesting and exciting to brainstorm possibilities and learn from what is being done successfully already in our faith movement, and in the wider religious world. I am down to the last few weeks of my internship with both Tree of Life, the congregation and Rev. Sean. This has been a wonderful experience for me and I have so many people to thank for helping me navigate through these last nine months. It is with great sadness that I will be leaving you as I have come to enjoy the time I have spent with you and will miss seeing your smiling faces on Sunday mornings and at other times. There are rules that are set by the Unitarian Universalist Association that govern my actions as I leave you. The toughest of these rules are one that dictates that for one year after I leave I must not maintain any contact with the members of the congregation. Although I will find this a very hard rule to comply with I also understand that there is a period of grief that comes with my leaving. I have, as I look forward to June 1, begun the grieving process and I know this will be hard for me as well as for the congregation. If you find that I have “unfriended” you from Facebook, please do not be offended, it is just part of the process. I hope that after my year is up I will be able to drop by Tree of Life for a visit and I hope to see all of your smiling faces again. That being said, there are always exceptions to the rules. The Worship Arts committee has invited me to preach four Sundays during Rev. Sean’s summer leave and I have agreed. We have yet to firm up dates but keep watching the Church Happenings and you will find me there. This will extend my year of absence but it will make the leaving easier. Thank you to everyone at Tree of Life and a special thanks to Rev. Sean for allowing me this great opportunity. Last week I lost a very important person in my life. I was not the only one to suffer this loss. One of our sister churches lost their minister and the members of that congregation lost their leader and friend. Rev. Georgette Wonders had been the minister at Bradford Community Church UU in Kenosha, WI, for ten years and had recently announced her retirement. The congregation was already dealing with the grief of having to replace her when she was killed in a freak accident. Bradford is my home congregation. When I first thought about entering seminary I went to Georgette and asked her thousands of questions, all of which she answered in her kind and gentle manner, even when I asked the same questions over and over to make sure that I understood the answers. When I finally made the decision to attend Meadville Lombard Theological School, it was required that I have a letter from my minister to gain acceptance and Georgette wrote that letter. The seminary journey required that I complete a two-year part time internship in a congregation and I was unable to find a congregation in the area that could take me. Georgette opened her heart and her pulpit and took me on. Several months into that internship, Georgette became ill and was on sick leave for about 10 months during which time she felt comfortable allowing me to run her church. In this past year, while at Tree of Life, I would still go back to my mentor and friend for guidance and conversation and when she would tell me that I did something well or referred to me as her colleague; it would make my heart sing knowing that I was doing this job of ministry well. When I heard the news of her accident, I went to the hospital to see her and my heart was heavy knowing that she would not be coming back to the congregation that she loved so much. I knew that she would want only the best for them and I knew that I would do all I could to help. However, I am just one small person in this great big world and I wasn’t sure exactly what I could do. I got home that night and turned on my computer and the Central Midwest District Facebook page came alive right before my eyes. Ministers from all over the District were signing up to fill the pulpit; they were not asking for the usual honorarium, they were willing to do this simply because there was a UU congregation that was in crisis and they were willing to help in any way they could. Our Mid-America Region offered to pay travel expenses for anyone that preached in the congregation. 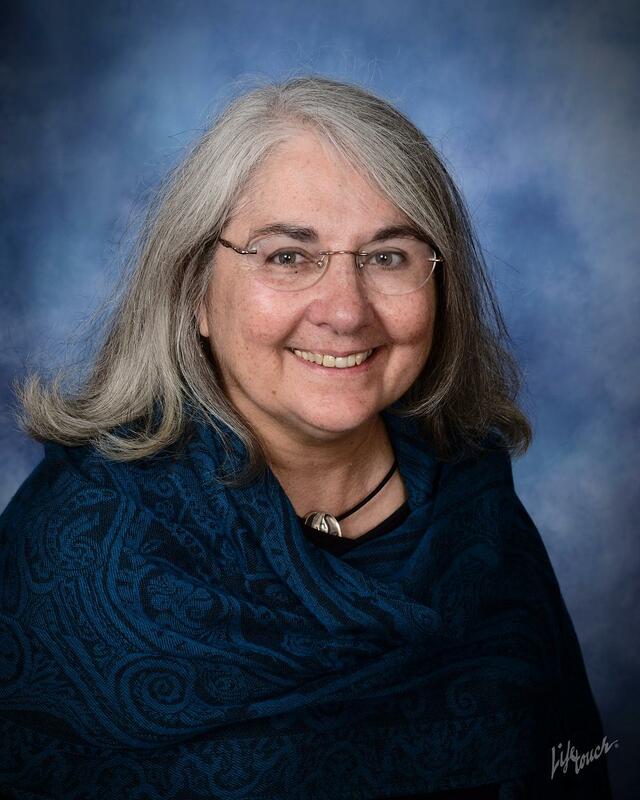 LREDA, the Liberal Religious Educators Association had an outpouring of help for the Director of Religious Education at Bradford helping her not only to deal with her grief but also begin to help the children of the congregation make sense of this loss. The Unitarian Universalist Trauma Response Team has sent members to the congregation to help those who are grieving and need a place to take that grief. I watched that night as our association came together in a beautiful way with an outpouring of support, love and comfort. The Regional staff helped plan and attended a candlelight vigil and Dori Thexton, the Mid-America Staff Liaison, met in an emergency meeting with the Board to give them support and direction on what to do next. Everyone came together with help and support and most importantly, they did it with care and love. At Tree of Life, we have received support from the region and our denomination and with our current budget shortfall, we are unable to pay our fair share. After seeing the outpouring of love Bradford has received from them I believe this is something we should reconsider. They are there for us and we need to support that. Bradford will be fine, they will grieve, they will, with the help of the Regional Staff, find someone to fill the pulpit and carry on the work of the congregation. We need to help the region and our association, so that they are able to continue to offer this type of support. Each year the Unitarian Universalist Association chooses a book for congregations to read together. The annual Common Read is selected to fit with a specific Unitarian Universalist ideal. This year’s theme is Economic Justice and the Common Read is Behind the Kitchen Door by Saru Jayaraman. Our Green Sanctuary and Social Justice Committees will be working together to coordinate the reading of Behind the Kitchen Door in our congregation followed by either one 90 minute discussion group or two 45 minute groups. There are multiple options for obtaining the book and Patrick Murfin has been detailing those in the Church Happenings every week. I have ordered several copies of the book from the UUA Bookstore which I will have available on Sunday March 9th. Hopefully you will take a look at the book and sign up to be a part of the Tree of Life Common Read. Once we have an idea of how many people are interested in ordering the book from the UUA we will be able to determine what type of discount we can get. This book will help us to understand what goes on in our favorite restaurant or fast food place. It will also give us insight as to what raising the minimum wage would mean for people who are barely getting by on their current incomes. How do restaurant workers live on some of the lowest wages in America? And how do poor working conditions—discriminatory labor practices, exploitation, and unsanitary kitchens—affect the meals that arrive at our restaurant tables? Saru Jayaraman, who launched the national restaurant workers’ organization Restaurant Opportunities Centers United, sets out to answer these questions by following the lives of restaurant workers in New York City, Washington, D.C., Philadelphia, Los Angeles, Chicago, Houston, Miami, Detroit, and New Orleans. For many of us Christmas is a time of joy and festivity. Families arrange to travel long distances to spend time with each other bringing presents and cheer. Long hours are spent trying to find just the right gift for someone and then acting as if the gift you received is just the thing you wanted even if it was the one thing you didn’t want. Christmas time is fun and gaiety for most of us but there are a few people out there that just don’t seem to get into the spirit. Not everyone has a merry Christmas, for some it is the most agonizing time of the year. These are the people who experience Blue Christmas. For many years, I was one of these people. My mother who passed away on December 19th was buried on Christmas Eve and although I was very young when she died, I always wished for her to be there at least on that one day. As the season approached, every Christmas song that played on the radio or on a store intercom brought me to tears. There were times when I was young and saw people laughing as they shopped that I wanted to just lash out at them, to scream for them to stop. Christmas was a very hard time for me. I have grown, I have learned to enjoy the holiday, but that first carol of the season will still bring a tear to my eye. There are many people who hurt at Christmas time. Some who are far from home and cannot be with their families, some who have lost a family member in recent months or years, and some who feel they just can’t afford to participate–this is a very hard time for all of them. If you see someone who appears to be having trouble with the season, don’t press, don’t push, just allow them to know that there is someone there, someone who is willing to listen, someone who will open their heart and their arms and give them the hug that they need and if necessary, that shoulder to cry on. You at Tree of Life have welcomed me into your beloved community with open and loving arms and I am so grateful to be here. You may be wondering how it is that I came to be here and to be on this long and winding path to ministry. I did not start out on this path; actually, I started the path about eight years ago when I was offered a free college course as part of my job. I had a father who continually told me that I was just not smart enough for college and after a number of years, I believed him. When I was offered this free class, I took it never intending to pass. I did pass and passed with flying colors, so I took another one just to be sure and passed that one as well. From there I enrolled at McHenry County College where I did my first two years and started to gain confidence. I have always had a love of religion of any type be it Christian, Jewish or “cults.” The different belief systems and how they intertwine has always fascinated me and so I entered American Public University seeking a bachelor’s degree in Religion. While working on that, I began looking forward to a new career. I knew that I wanted to help people in some way and I was strongly looking to work with the families of Alzheimer’s patients to help them to understand what their loved ones were going through and how they could adjust their lives to accommodate the changes. As I began to look for a Master’s program that would take me where I wanted to go I just couldn’t find the right school and the right program. Frustrated, I knelt down in prayer one night and when I woke up to continue the search all that would come up were seminaries. So far from what I was thinking, so “not me,” I thought. I finished my bachelor’s degree in June and started classes at Meadville Lombard in September and never looked back. Although I was sure I was going to be a Community Minister with a focus on Social Justice that quickly changed when I had my first taste of parish ministry. So, here I am, spending time with you and learning so much from Rev. Sean. Next year will be the year that I will take all that I have learned and launch into a congregation of my own. I am very excited to be here and am looking forward to meeting and getting to know this wonderful congregation. So what is it that an Intern does and what is it that I will be doing? Well, during my time in seminary I learned all of the academic things that one needs to learn to prepare for ministry and although I believe that I received a good foundation there is nothing that can prepare you for the real life challenges of working with a congregation. During this next year, I will be working with Rev Dennison to learn to understand the heartbeat of a congregation and how to nurture that heartbeat to create a strong and vibrant community. I feel that I have been blessed to be able to learn from such an amazing minister and I hope to learn as much as I can so that when I walk into the doors of my first congregation I will be well prepared. I will begin with one of my passions, which is Social Justice and will be meeting with that team to understand what they are working on and to offer any knowledge that will be of help to them. I will also be dropping in on other committees just to get to know you and to understand how you do the work that you do. My hope is that by the end of the year I can understand how each committee works and how they fit into the puzzle that supports the work of the congregation. Throughout the year, I will be preaching at least one time a month and I welcome any comments that you may have about my style and presentation or any other comments that you might have. I take criticism easily and find in every critical remark a chance to learn and to grow. I take compliments just as well. I am thankful that I have a small office area and I invite you to drop by and visit any time so that we may get to know each other. Thank you for having me as your intern for this year.